Is This The Best LMS? These Are The Questions You Need To Ask! Choosing the right Talent Development platform can be difficult. And I don’t just say it because I’m one of those people that take ages to decide even something as simple as what they’d like to have for lunch. 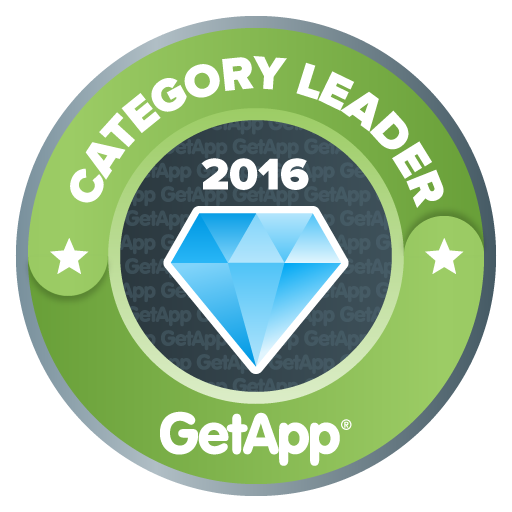 Picking enterprise software is inherently difficult because of all the business constraints involved. You need to pick something that ticks all the necessary feature checkboxes for corporate use, offers great support options, meets your budget criteria, plays well with your existing infrastructure, handles your use cases, and supports any relevant industry standards. Oh, and you’ll also want to settle on something that your employees will actually like to use. The secret lies in asking all the right LMS questions — and getting the software product that gives you all the right answers. First of all, you won’t find most of those questions in the FAQ sections of various Talent Development Systems and eLearning software websites. That’s because the typical FAQs are either overly generic (covering things most Talent Development platforms worthy of their name do well) or overly specific (covering niche features that make the specific product look good). Instead, you should look for an answer to SAQs (“should-ask questions”) — that is, to the kind of LMS questions that an informed Talent Development System buyer would ask. Specific LMS Questions that can see through the marketing and buzzwords, and go into the heart of what a corporate user would need from a Talent Development System (or LMS) platform. Does the platform give you quick results? In business, as in life, time is money. When you need to prepare your workforce to navigate through rapidly changing market conditions, or when you need to get temporary workers ready to start servicing customers by next Friday, you can’t afford software that gets in your way. Especially if you don’t have several IT employees to spare, to task them with figuring out the kind of arcane installation procedures, and hair-pulling configuration options that are par for the course with most enterprise software. 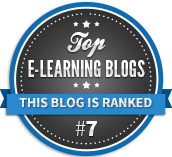 So, there are a few LMS questions to which you’ll need your software of choice to provide satisfactory answers. You’ll need to check whether the Talent Development System you are considering is easy to configure and intuitive to use. For that, a quick glance at a product’s user interface will often be enough. You could also look around on industry sites and user forums to see the kind of reputation various Talent Development Systems and LMS have. Some are known to be intuitive and low maintenance, while others require a rocket science degree to get them to do anything, something which sadly is often not just tolerated, but expected from enterprise software. 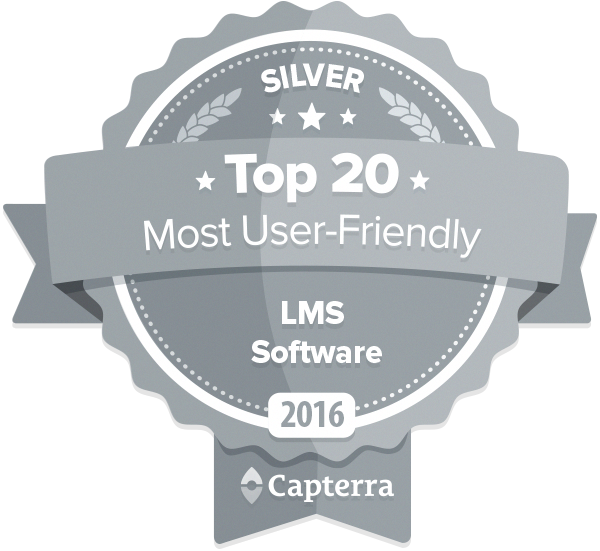 eFront, for example, is renowned for its ease of use and quick results (to the point that the popular business software review site Capterra featured it in its list of the “most User-Friendly LMS“. Is the platform actively maintained? 2005 was a great year for Merlot, but that doesn’t make it a great year for software as well. So, if the last update of the Talent Development System you are examining was somewhere in the last decade, you better pick something else. See, unlike a good wine, software doesn’t get better with age. It gets better with active maintenance, bug fixing, and new releases. When software is left as it is for many years, it’s not only a sign of abandonment from its parent company but also a trajectory that leads to inevitable trouble as OSes get updated and standards change. The software industry calls this phenomenon “bit rot”. In any case, there aren’t many LMS questions you need to pose. You simply have to check the release record of any software you are considering. If it has frequent update releases (at least once or twice a year) you should be fine with it. Whether those are point releases, (e.g. 2.4 to 2.5) or major releases (e.g. 2.0 to 3.0) doesn’t matter as much as their frequency. That’s because a minor release might still be chock-full of improvements and new features and inversely, a major release might just change a few things. Release numbers are mostly a convention — release frequency, on the other hand, shows commitment and momentum. If you follow this blog, you already know that not only does eFront see three or more update releases every year (each introducing several major features) but also that it’s the next generation revamp of eFront, meaning that it has been actively maintained in one form or another for more than a decade. Is the platform adaptable and customizable? To make the best use of a software package you will need to be able to make it work the way you want it to. This is even more important for an enterprise system such as a Talent Development System platform, which will host multiple users and departments, and whose success will be crucial for your company’s progress. At the very least, you will want your Talent Development System to be able to display your branding (custom logo, theme, etc). But first and foremost, you’ll want it to adapt to your organizational structure and your usage patterns. The ability to easily create and manage users and groups, and to assign courses to separate target audiences is thus crucial, as are ways to make your Talent Development System reflect the departmental structure of your organization (e.g. to be able to have separate eLearning programs for different departments, branches, and facilities, each with its own settings and branding). With its complete suite of branding options (going all the way to white labeling), built-in web page authoring tool (Homepage Builder), and an extremely flexible management system that can cater to businesses of any shape and size, eFront’s answer to customization LMS questions is as flexible as a Learning and Talent Development Platform can hope to give. Plus, through its Branches feature, it even allows you to create and manage any number of independent eLearning portals. Does the platform play well with others? In enterprise environments, integration is key. Your Talent Development System or eLearning platform should play well with the other software in your data center or your public/private Cloud. In enterprise environments, integration is key. You should thus check the available integration options, and see what formats, standards, and services the platform supports out of the box, what can be added (in plugin form or through some other technology), and what, in need, you can build yourself (e.g. through some SDK). It goes without saying that to even consider any software for your enterprise, it would need to support Single Sign-On along with the rest of your websites and services. In most enterprises, this would require either Active Directory/SAML 2.0 or LDAP support. Oh, and because this is 2017, you should expect of any platform you end up picking to offer a REST API, as this easy-to-use protocol (for lack of a better term) has established itself as the de facto industry standard for remote querying and control. Its numerous native integrations, its support for enterprise standards for SSO, and its REST API (and native SDK) allow eFront to feel right at home in your datacenter. As for speaking to external applications and services, the built-in Zapier integration (covering over 2,000 third party apps) means you won’t have any problems in this area either. The fifth of our LMS questions is a biggie. Blended learning (also known as Hybrid Learning or Instructor-Led Training) is the ability of a piece of eLearning software to support both online, web-based courses and real-time, in-person sessions (either in a conventional classroom or in the form of a webinar). Unless your Talent Development System/eLearning software supports blended learning uses cases and can help you schedule, manage, and monitor your online training and your instructor-led sessions in a uniform way, you are going to have a hard time (and a lot of manual work) handling these two learning paradigms. eFront has supported Instructor-Led Training support for a long time and remains one of the more featureful and easy-to-use applications for blended learning. It fully supports classroom-based training management and scheduling and goes as far as to give you 5 different options for conducting webinars. Does it come with easy progress tracking & reporting? 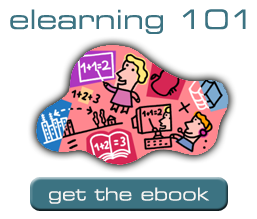 Measuring your learners’ progress is the key to the success of a Talent Development or general eLearning program. And for that, you will need a platform with extensive (and extensible) Reporting options. You should be able to focus on the macro scale (“big picture”), as well as on the micro scale (individual employees or teams), create custom reports based on the criteria and filters you need, and be able to automate the whole process. A comprehensive set of easy to use, built-in reporting templates wouldn’t hurt either. Like ―need we say it?― the ones that come with eFront, and that serve as a handy foundation before users jump to build their own Custom Reports, which it also supports. Now, this is one of the LMS questions that you would’ve asked anyway, true; but the price has to be right. Just because a piece of software is enterprise-grade, it doesn’t mean it has to cost an arm and a leg. Or that it should come with all kinds of fine print and hidden charges. You want to make sure that any Talent Development System/eLearning platform you end up buying or subscribing to, has a clear charge structure, and, in the case of subscription services, that their pricing tiers make sense, not only now, but also as your business needs grow. You know, kind of like eFront’s pricing tiers, that are clearly laid out, and presented in simple terms with no hidden charges or strings attached. A free or demo tier for immediate evaluation would be good too. You wouldn’t want to buy a pig in a poke, would you? So why buy your Talent Development System in one? LMS Questions: A Fitting Response! In this post, we examined a number of important SAQs, “Should-Ask Questions” that you should ask before settling on a Talent Development and/or eLearning system. Contrary to what salespeople might try to convince you of, the most important LMS questions are not the ones about buzzword compliance and feature matrices, but rather quite basic, almost obvious stuff, that cuts to the chase and goes directly to business needs and fitness for enterprise use cases. Those are the same questions we asked ourselves when we started building our own Talent Development platform. And we’ve built eFront to answer all of them. Take it for a spin, and see how it answers your LMS questions and needs.